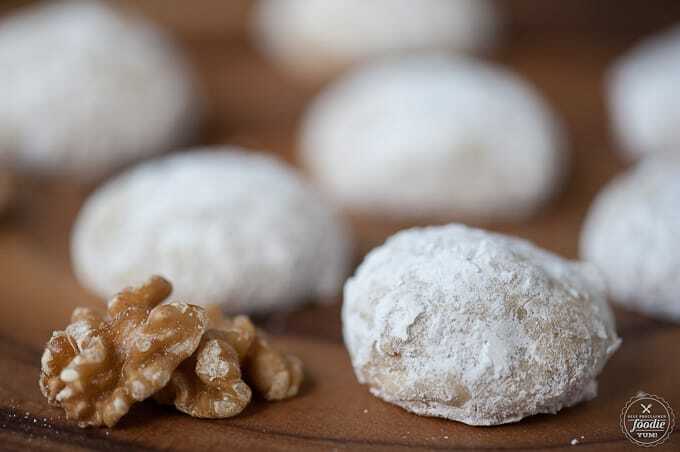 Walnut Spiced Rum Balls are rich and perfectly sweet holiday cookies that melt in your mouth and will have you reaching for another. Everyone has their favorite holiday cookies. My husband loves lemon curd hazelnut thumbprints. My kids love the chewy molasses sugar cookies. My dad loves the triple threat peppermint brownie bites. 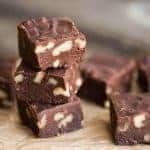 And my addiction to five minute fudge has me barely squeezing into my fat pants. 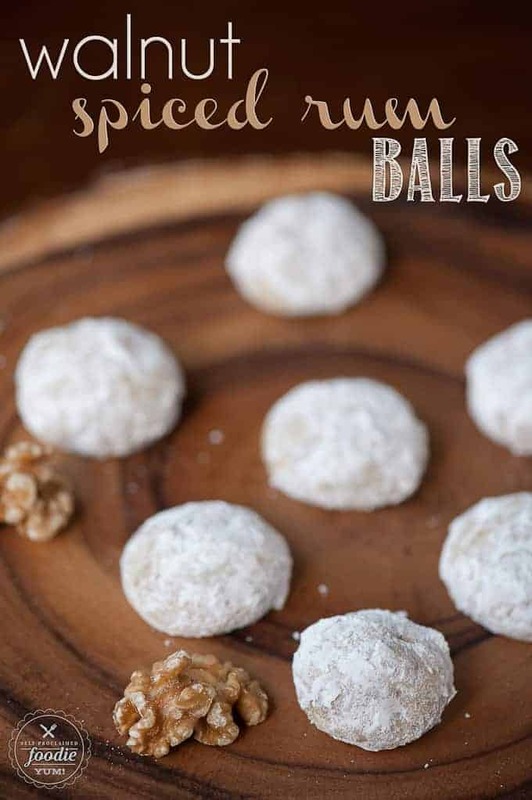 Who loves these melt in your mouth Walnut Spiced Rum Balls? My sister. Every year she asks me to include them in my cookie making extravaganza. Some years I do and some years I don’t. The years I don’t are payback when she locked me and my younger sister out of the house, shoeless, when she was supposed to be “babysitting” us. This year I not only made her favorite cookies, but I made them better than I used to! What? 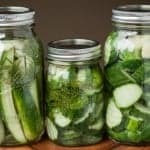 The Self Proclaimed Foodie admits she used to make something less than superb? Yes. Soak it in. I won’t do it again for quite some time, I’m sure. So how could I improve on these wonderful morsels? I did two things differently. First, I used to use raw walnuts, now I toast them. 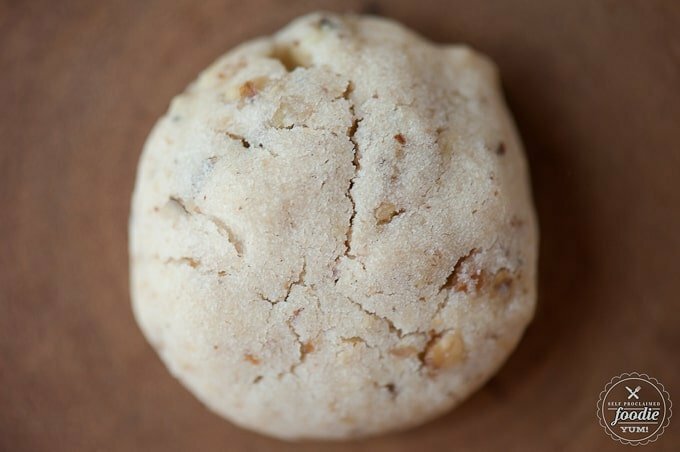 Second, I used to stir all the walnut pieces into the cookie, now I process half of them with some rum into a paste and incorporate that into the dough. 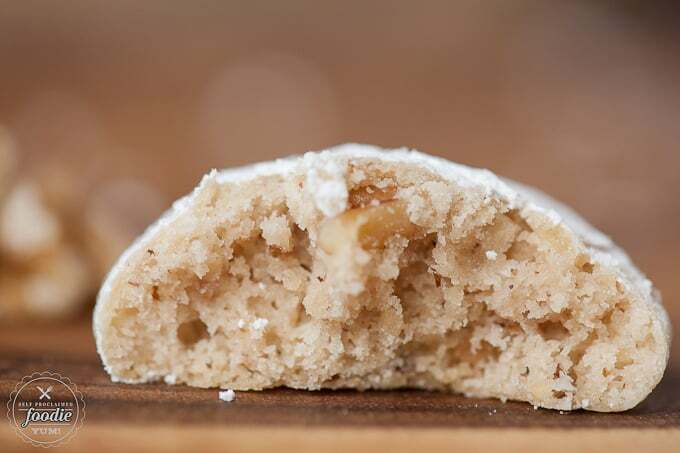 These cookies are hard to describe because they are unlike most other cookies. At first they appear light and dry, but as soon as you bite off a piece, it just melts. It doesn’t turn into a crumbly mess like my previous less-than-superb version. They hold their shape but are delicate at the same time. Foodie success! To toast the walnuts, spread an even layer on a baking sheet and toast in a 350 degree F oven for 10 minutes, stirring them while cooking to ensure even toasting. Allow to fully cool. In a food processor, pulse flour, only half of the walnuts, and the salt until the walnuts are in small chunks, 4-5 pulses. Transfer to a separate bowl and set aside. Run the remaining toasted walnuts through the food processor until finely ground 10-20 seconds. Add the spiced rum and process until a past forms which takes only about 5 seconds. Using stand mixer with paddle attachment, cream butter and granulated sugar until light and fluffy, about 5 minutes. Add the walnut rum paste and beat until combined. Turn the speed to low, add the flour mixture one spoonful at a time, and stop mixing as soon as everything has combined. Do not over mix. 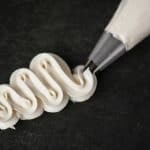 Transfer dough to plastic wrap, wrap tightly, and refrigerate until firm, at least 1 hour. Preheat oven to 375 degrees F. Prepare two baking sheets with parchment paper or a silpat. 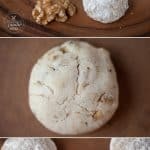 Form dough into walnut sized balls. Bake until bottoms just start to brown, about 12-14 minutes. Allow to cool on sheets for about 10 minutes, then transfer to a cooling rack. Repeat until all the cookies have baked. 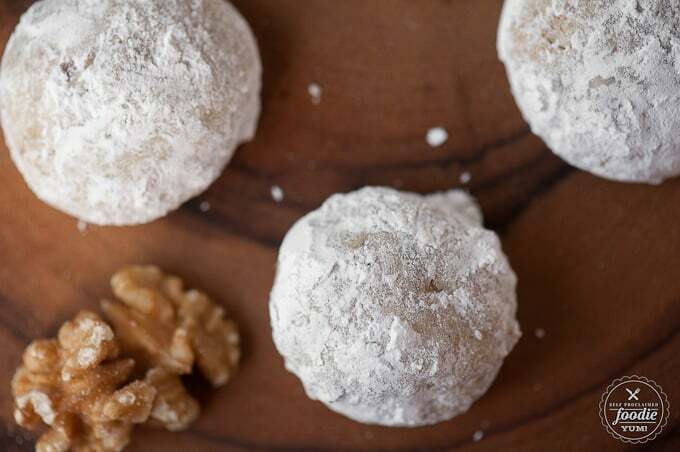 Prior to eating, roll fully cooled cookies in powdered sugar, shaking off any excess. Hi! Can you tell me why the recipe calls for kosher salt as opposed to table salt? Thanks! I just made these. WOW! I do love the kosher salt! 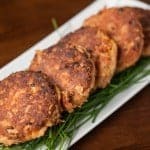 Thank you for posting this excellent recipe. Hi there! 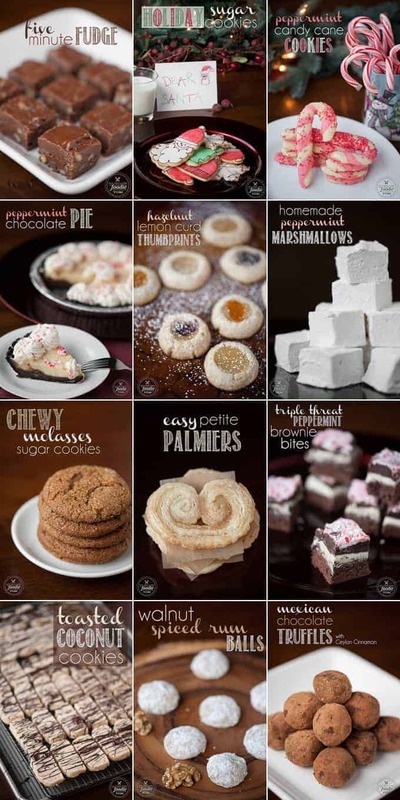 I just made these to bring to a holiday party and I found that while they were *delicious*, they were also extremely delicate (i.e. crumbling under my fingers if I grabbed them with just a little too much pressure, crumbling in the tupperware I put them in, etc)! 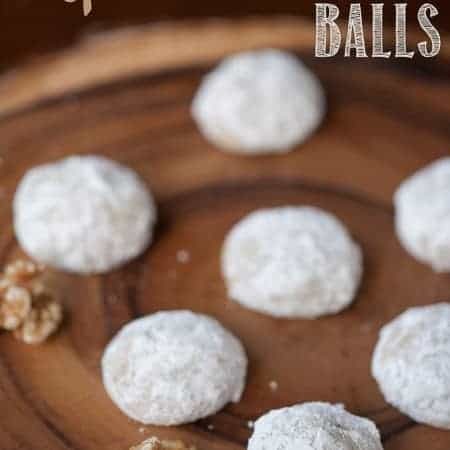 Do you have any tips for how to make these sturdier for handling/transport, or do I just have to accept that these rum balls will require very gentle handling?